It is an unfortunate fact. Our Island is shrinking because of erosion and sea level rise on PEI. 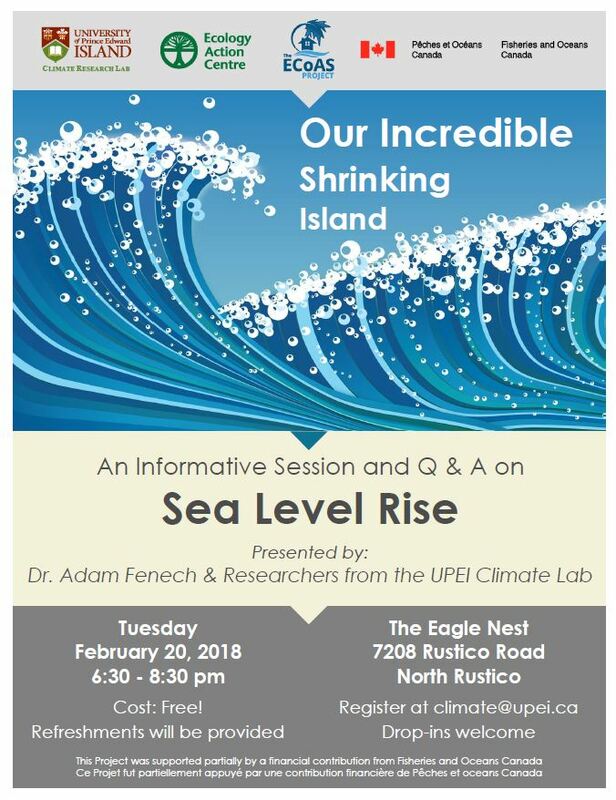 Dr. Adam Fenech and researchers from the UPEI Climate Change Lab will be at The Eagle Nest in North Rustico on February 20th at 6:30pm to discuss “Our Incredible Shrinking Island”. It will be both an information session and Q&A. The cost is free and all are invited.